Hepatitis C virus (HCV) infection is one of the major causes of chronic liver disease throughout the world. The presence of mutations in different regions of the HCV subtype 1b (HCV-1b) nonstructural 5A (NS5A) gene may be associated with response to interferon therapy. This study evaluated whether amino acid substitutions in the NS5A protein of HCV-1b correlated with response to pegylated interferon alfa-2a (peg-IFNα-2a) and ribavirin (RBV) combination therapy in Azerbaijani patients. 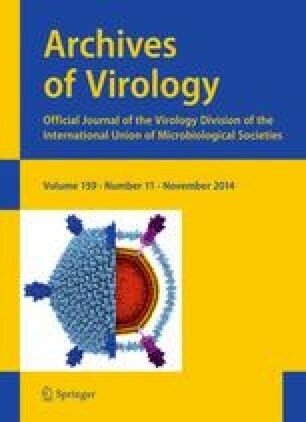 From March 2010 to April 2014, a total of 34 chronically HCV-1b-infected Azerbaijani patients were enrolled in this prospective study. After extraction of RNA from plasma specimens, the entire sequences of the NS5A gene of HCV was amplified by reverse transcription nested polymerase chain reaction (RT-nested PCR), and the PCR products were sequenced subsequently. The data that were obtained revealed that there was no correlation between the response to HCV combination therapy and the number of mutations in the NS5A-PKRBD, NS5A-ISDR, and NS5A-V3 regions of HCV. It also was found that changes from isoleucine to valine (I2252 V), aspartic acid to glutamic acid (D2257), arginine to lysine (R2269 K), and arginine to glycine in NS5A-PKRBD and from glycine to glutamic acid (G2379E) in the NS5A-V3 region were not associated with HCV treatment outcome. This study showed that genetic variability in the NS5A-PKRBD, NS5A-ISDR, and NS5A-V3 regions is not a predictive factor of SVR, NR or relapse in HCV genotype1b treated with peg-IFNα-2a/RBV combination therapy. This study was supported by Research Deputy of Iran University of Medical Sciences, grant number 15927. The authors have no conflict(s) of interest.